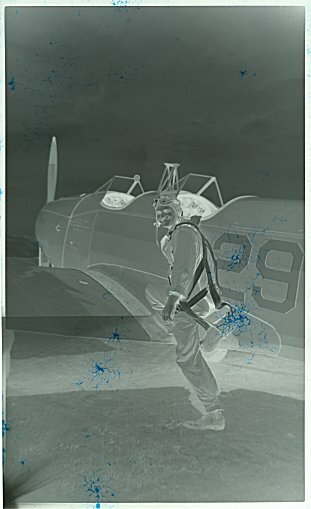 Some of the negatives in my collection, most notably those from the 1940's, have weird blue specks on them. What is this blue stuff? Is there any way to get rid of it? Does anyone know where this is/was? I have been told Cleveland, Ohio but was wondering if anyone had any specifics about this unique structure. 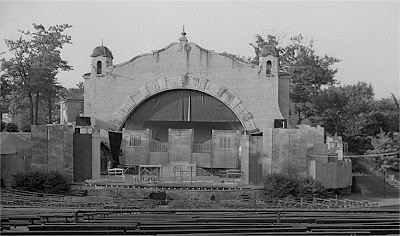 Thanks to the several people who have identified the building as the Amphitheatre at the Toledo Zoo in Toledo, Ohio. The Amphitheatre was built in the 1930’s as a WPA project and still stands today. If you would like to see what the amhpitheatre looks like currently, please click here. Does anyone know what kind of car this is? 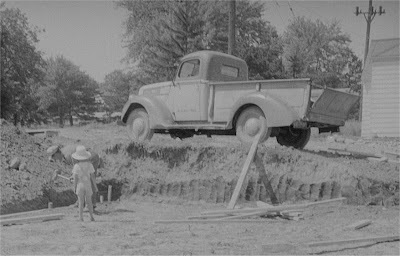 My guess is a 1934 Plymouth. 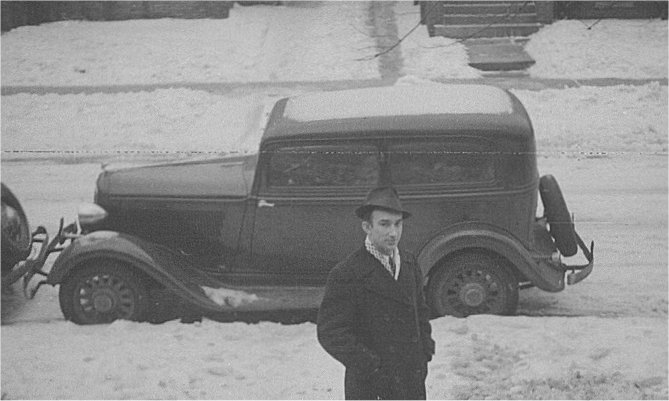 The car has been identified as a 1933 or 1934 Plymouth. 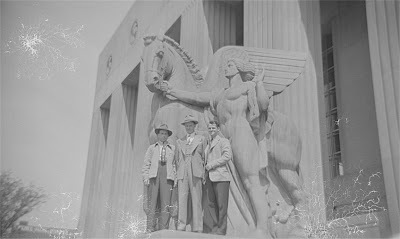 Does anyone know where this is/was? 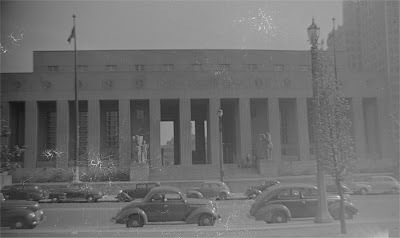 The building says "To Our Soldier Dead" and has a World's Fair look. Research indicates that this building is the St. Louis Soldier’s Memorial in St. Louis, Missouri. The memorial opened on May 30, 1938 and still stands today. If you wish to learn more about the Soldier’s Memorial please click here.